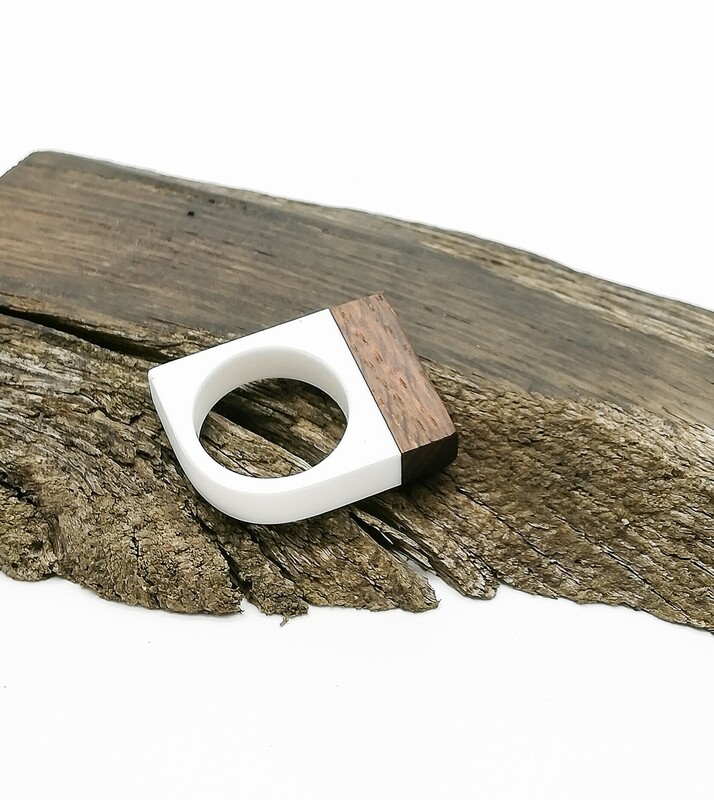 Ring made of semi-fossil oak wood (bog oak), 3500 years old and acrylic resin, ecological and solvent-free. To chose your size see description below. 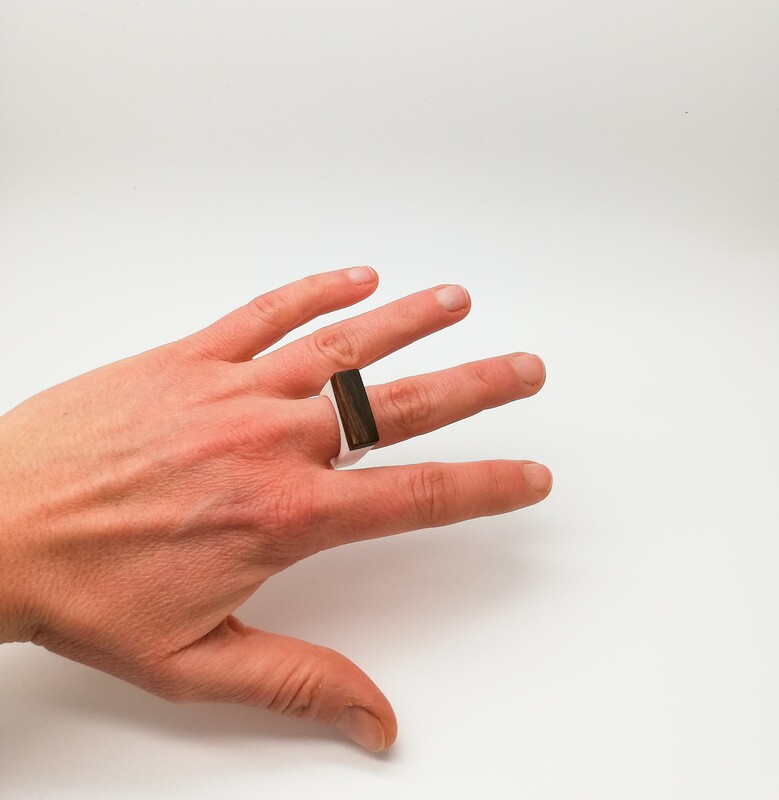 Bog oak is called semi-fossil wood and is very rare and fine. It is found in a few countries all around the world, in peatlands and marshy areas, where it remains submerged for centuries or millennia, while mineral substances begin to substitute lignin. 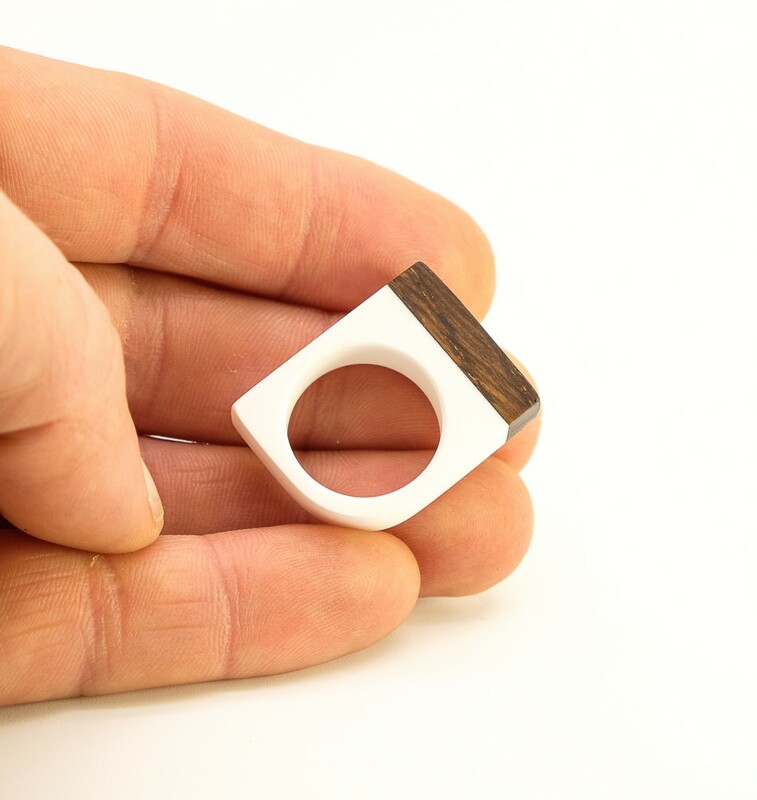 It is a very hard and very compact wood. Pieces exceeding 8000 years have been found. 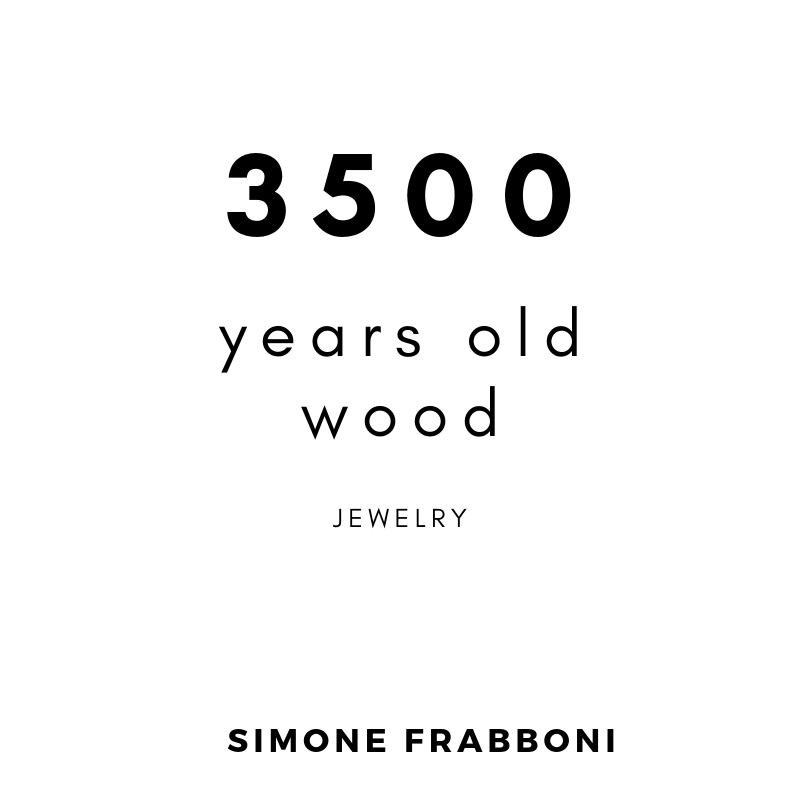 What we use for these jewels comes from the Po river (Northern Italy), from an independent research that we made personally, then we had asked Carbon 14 analysis to an international university institute that has dated it around 1500 BC, so it is around 3500 years old. 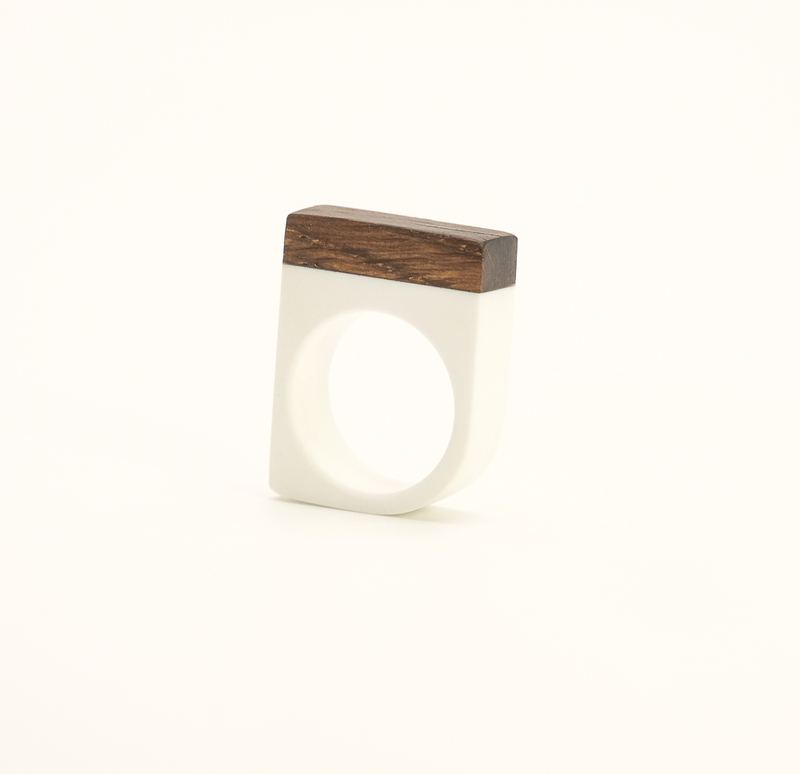 The resin is resistant and very smooth, which makes it elegant and gives it a very pleasant texture when you touch it. This is a collection of a few pieces, you can find different available sizes. Here you can check your size in different size systems. For any question don’t esitate to write me, we can also help you to understand your size.